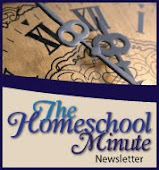 Planning out the homeschool year can be terribly overwhelming. However when you are planning out your new homeschool year there are a few things to keep in mind. When you know what to plan for the homeschool year and have a good Homeschool Planner then you will be well on your way to being a more organized homechooler. 180 School Days – Every state has it's minimum days you will need to homeschool per year, and typically it is equivalent to the states requirement for public and private schools. In my state 180 days is required, and we are also required to keep an attendance record showing that they attended 180 days of school throughout the year. The great thing about homeschooling is typically every day is full of learning, so I wouldn't get too caught up as to whether you are having a formal lesson each of the 180 days. Field trips do count as a school day as well! I like to use an attendance record to determine a start date, and end date. I also make time for make up days for any sick days we have. Vacation Days – Keeping in mind how many days your state requires for homeschooling, and using an attendance record to get an idea of how your school year will go, you will also want to keep in mind vacation days. Some homeschool families like to go along with the public school schedule for vacations. For our family we typically schedule in our own vacation schedule to meet our families needs. Typically we only take a week off around Christmas instead of two weeks off, etc. Planning out your vacations in the beginning of the year and doing a rough draft, or plotting, of lessons and field trips will help you to feel a bit more organized when it comes to planning your homeschool year. Keep it Simple – There really is no need to plan out every single day of lessons when you are first planning the basics of your homeschool year. I like to jot down what lessons we plan to do for the weeks, however that's only to make sure we cover all the lessons within our curriculum. Another thing to remember is be flexible. Planning out the school year in advance in my opinion is a necessity, however realize life happens and more than likely things won't always go according to plan. Make Time for Fun – I like to schedule field trips for the year before we begin school. You can find a lot of field trip ideas online. I like to go through our curriculum to see what we are studying and plan field trips according to the curriculum. There are also a lot of great learning attractions around where we live and we like to utilize those facilities every year as well! Heather Bixler is a Christian Stay at Home homeschooling mom of three awesome kiddos ages 13 yrs. old, 7 yrs. old, and 6 yrs. old. Heather is the founder of Christian Stay at HomeMoms and recently launched The PrintableHomeschool Planner. She is married a Firefighter, and also a work at home mom. Every bit of time is truly precious to Heather and she has learned over the past 5 years of homeschooling that being organized is truly the best way to manage her time. That is why she recently launched The Printable Homeschool Planner in hopes that it will also help other busy homeschooling mamas manage their precious time as well. 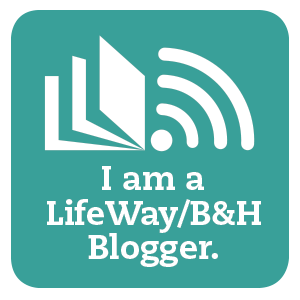 You can follow Heather on twitter at hbixler03 or @homeschoolplann, and you can find her on Facebook too! 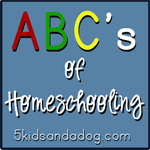 This is a great help for newer homeschoolers! Lots of people wonder how to get it all set up, and you laid it out very well. Thanks!